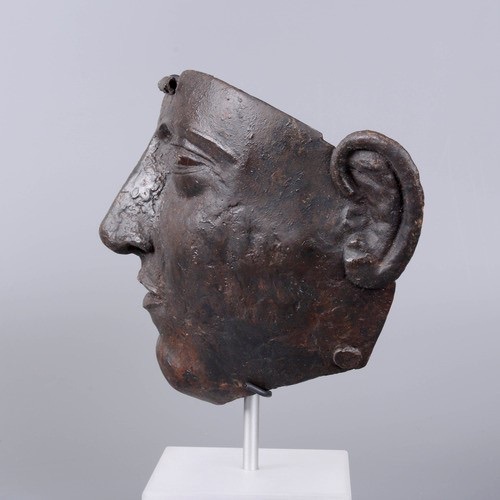 A unique story featured on 3D HUBS of how a missing piece of an ancient artifact was reconstructed using Artec EVA and 3D printing. 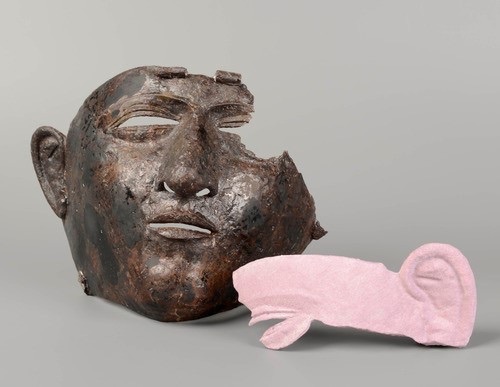 Ronny Meijers, an archeological restoration technician, is working with Arma Factory’s Hub in Arnhem to restore an artifact from the collection of the Valkhof Museum in Nijmegen. 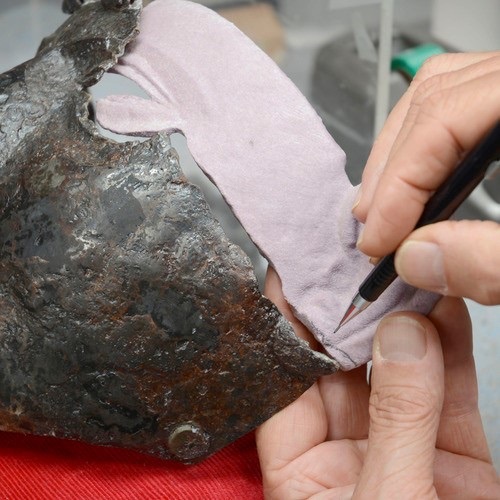 The artifact is a mask-visor that is part of an antique Roman helmet. The helmet was found in a military settlement in the 1980’s without, unfortunately, the left-side. With the help of his colleague Vivianne Veenemans (owner of 3Dsculptuur.nl), Ronny was able to 3D scan the right-hand side of the visor as well as the edge of the missing part. He then flipped the scanned ear and combined it with the braking edge of the left-hand side, resulting in a 3D printable model of the missing piece. Vivianne used an Artec 3D scanner and its accompanying software, Artec Studio, to complete the scan. The scanning process was fairly easy, as the 3d scanning device is hand-held and could be moved quite freely around the object. Once the 3D model was complete, the piece was printed on a Zcorp “powder bed” printer using full color sandstone. According to Arma Factory’s Hub, using a Zcorp printer is excellent for this kind of work. With layers of less than one tenth of a millimeter, the quality is extremely high and you won’t notice that it’s 3D printed. The quality is only one of the benefits of a Zcorp printer, another is the use of a powder bed which makes it possible to print any part, in any angle, floating or not. You only need to keep the thickness in mind, as a minimum of 2 millimeter is required to make the print sturdy enough to handle.